We love getting crafty for the holidays! Our Free Printable Easter Egg Coloring Pages are perfect for keeping kids busy. Frame them to add some homemade decor to your home this Easter. This post may contain affiliate links. It adds no cost to you but keeps this blog alive and ticking. See my full disclosure here. Easter break, Spring break, let’s talk serious folks. We have lots of little hanging about with the eyes glazed over from way too many screen hours. They get moody and yep even a bit angry, especially if you take the iPad or Tablet away. There is no tantrum that can even come close to the taking away a kids screen-time. What’s a mom to do? Lay down the rules and have lots of Easter and Spring Break activities ready to go! 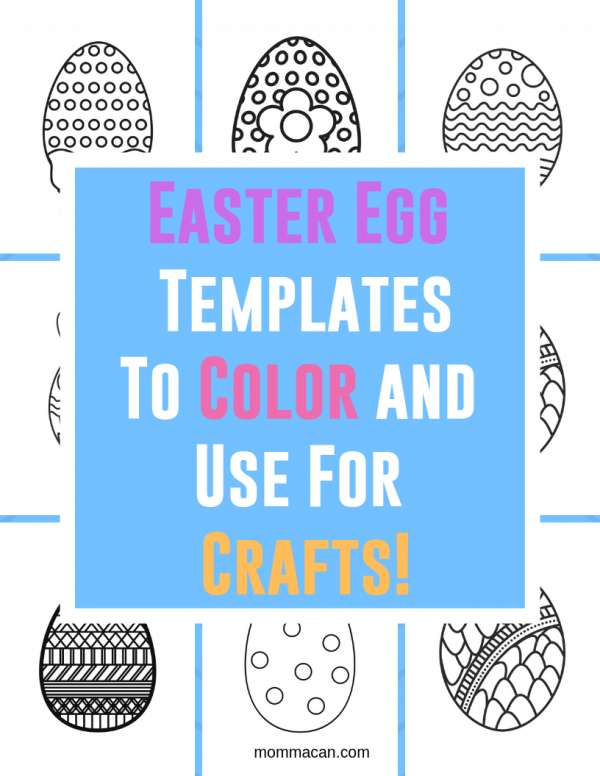 Also available a free printable pdf sheet filled with smaller Easter Egg Coloring Templates to color and cut out for crafts. Use the small sheet filled with nine different eggs to make cards or hole punch and hang from tree branches. So much fun! There are so many benefits coloring with your kids provide. Not to mention, coloring helps develop fine motor skills. These skills are developed wonderfully through creative play and coloring is CREATIVE PLAY! Coloring is not just about fat crayons, especially if you have a lovely range of ages in your family to entertain! Here is a wonderful list to squeeze lots of creativity and joy while using our Free Printable Easter Egg Coloring Pages! Calligraphy Pens for adding notes! Clipboard to hold the paper in place. 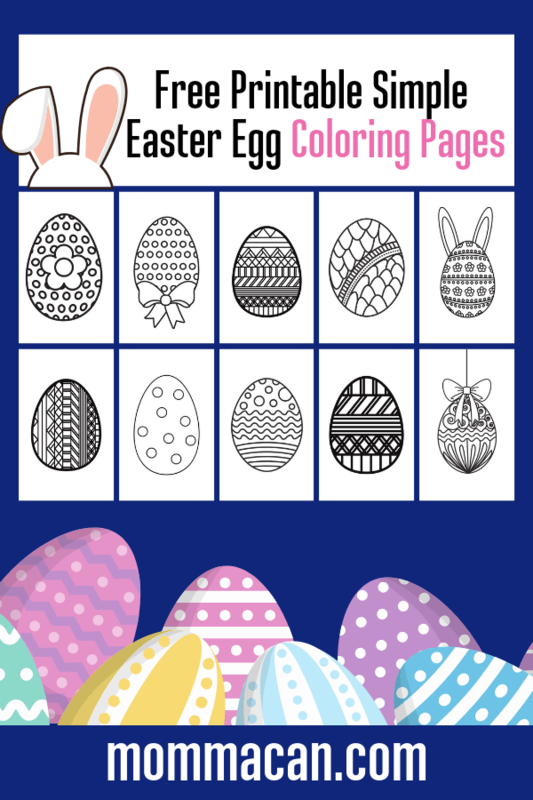 Our pack of ten super coloring printable Simple Easter Egg Coloring Pages! EEK! I am so excited for Easter and Spring! I hope you enjoy the season! What do you think about our coloring pages? Have questions? Comment below! Don’t forget to like us on Facebook, follow us on Pinterest and connect with us on Instagram and tag @mommacan and #mommacan, while you’re at it…I love to see your coloring pages pics!